The trip up Snowdon was always a bit on again off again, and as late as yesterday evening we were looking at taking today off, but we got up and decided to go for it, despite walking 19km yesterday! A bit of a late start saw us driving through North Wales past old favourite places, to Rhyd Ddu, on the Beddgelert to Caernarvon Road. 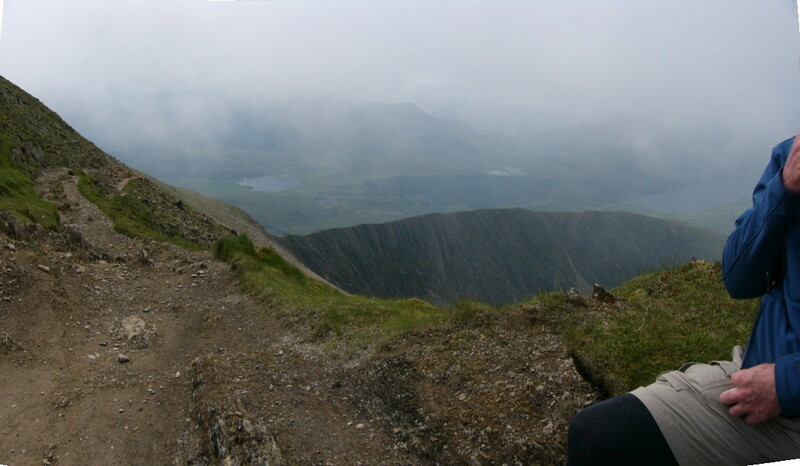 At 190 metres, this is one of the lower points to start Snowdon, but is a great route, exposed in places but quite straightforward to navigate. The day started quite pleasant, but got cold and wet half way up. As we approached the top, along a rather scary (for Lynn) ridge, it started to improve a bit. At the top it cleared quite dramatically for 360 degree views and was actually quite warm and pleasant. 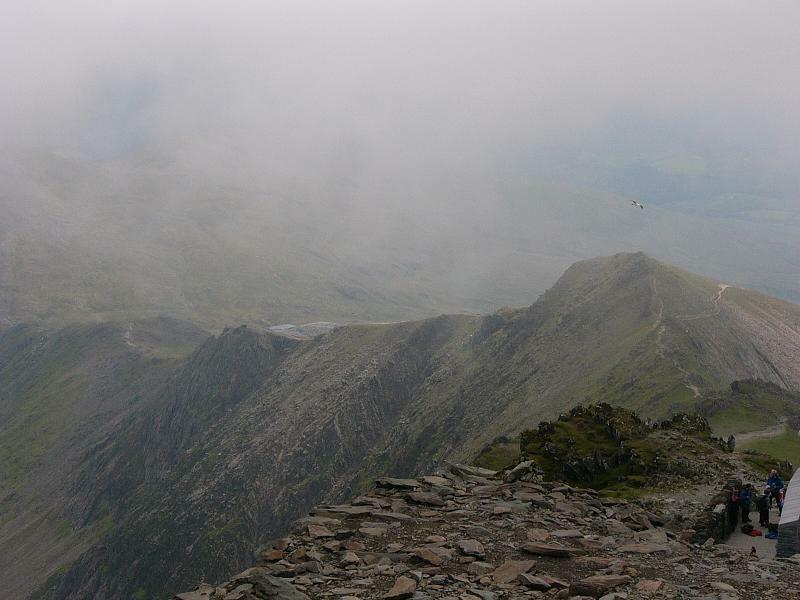 We walked down the Snowdon Ranger path, which we last walked 30 years ago. As we got near the bottom it started to get colder again, but as it was now getting near 17:00, it was to be expected. The whole walk took about 5 hours, for 14 km and 800 metres climb. The drive back was disappointing, we went to Caernarvon to get fish and chips, but couldn’t find any! So we drove back to Mold and got them there! Great day’s walking, and now we have done all three national highest peaks! This entry was posted on	June 11, 2009 at 9:13 am	and is filed under Uncategorized. The blog covers a bit more than Wales, but some of the best bits are in Wales! Not sure I could afford another trip from NZ to Wales to take the prize even if I won it!